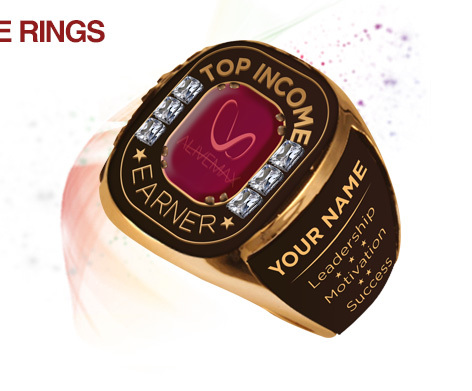 Once you earn over $100,000 in Lifetime Earnings with AliveMax, you will earn a TOP EARNER RING! When you earn over $250,000, you will be rewarded with 2 Diamonds to put in the ring! When you earn over $500,000, you will be rewarded with 2 MORE Diamonds to put in the ring! And when you earn over $1,000,000 in LIFETIME Earnings, you will complete the ring with the final two diamonds!